Australian Prime Minister Apologizes For Forced Adoption Policy : The Two-Way Tens of thousands of children are believed to have been taken from their parents, mostly unwed teenagers, from the late-1950s to the 1970s. An Australian Senate committee report issued last year urged the government to take action. 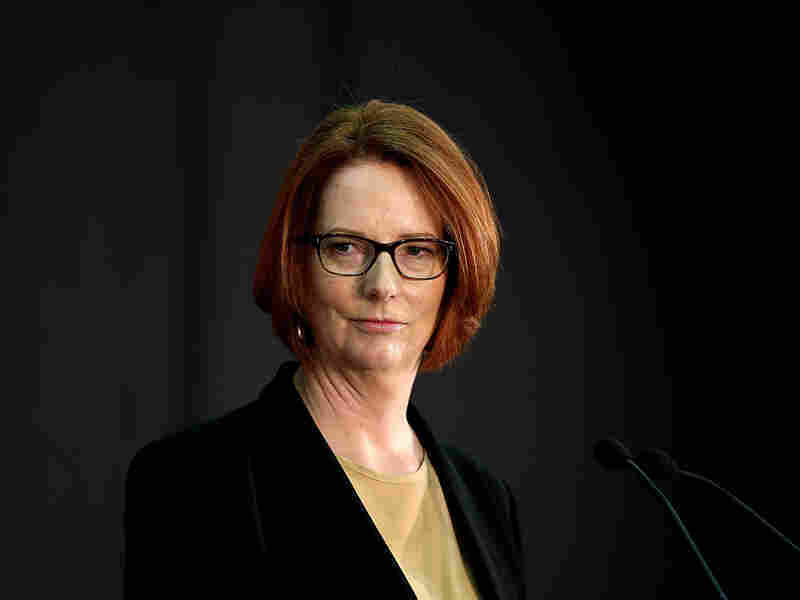 Australian Prime Minister Julia Gillard apologized Thrusday for how thousands of unwed mothers were forced to give up their children from the late-1950s to the '70s. "Tens of thousands of babies of unmarried, mostly teenage mothers, were thought to have been taken by the state and given to childless married couples. "Many women said they were coerced into signing away their children." In her statement at Parliament House in Canberra, Gillard pledged $5 million in support services for victims, Australian Broadcasting Corp. reports. An additional $1.5 million will go toward a special exhibition in the National Archives. "By saying sorry, we can correct the historical record. We can declare that these mothers did nothing wrong, that you loved your children and you always will," Gillard said.
" 'I first knew something was wrong when a pillow was placed over my face during the birth, so that I couldn't see the child during the birth.' "
ABC Open is hosting a project called "Separated" to collect photos and stories about the policy. One submission shows a sketch of a baby, which the contributor says is of her newborn just before she was taken away for adoption in 1964.